Wade has written books on Lifestyle Optimization, Relationships, Finances, Spirituality and Parenting. Below are 3 books that relate to the 4-Day Work Week Strategies and Enjoying Our Most Important Relationships. 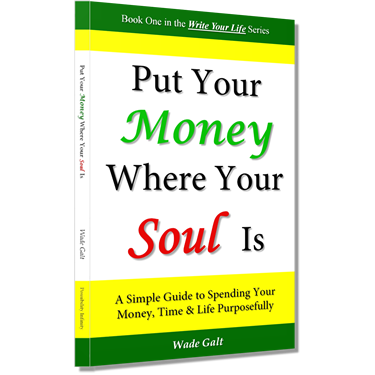 To see all the books Wade has published, click here. The most costly expenses come from our inability to get approval from ourselves. Clothes, toys, relationships, substances, and achievements are just some of the external sources that we use to try and feel good. Learn to free up additional time, money and energy by redefining your relationships with money, time, people, and things. This down-to-earth approach marks your first steps towards lasting transformation of your personal and professional lives. (3) Find the time to do so while still running a great & fun business.